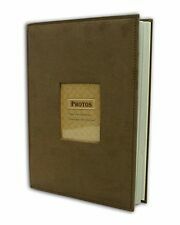 Insert your favorite photo into this beautiful suede hard covered photo album. Suede Cover, Beige color. we will reply you ASAP.